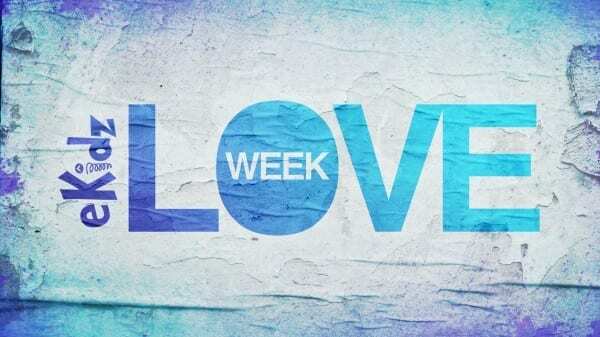 Love Week is all about compassion, unity, selflessness, and service. We believe in making the name of Jesus famous through our service. During Love Week 2013, we are uniting as a body of believers to serve our city. eKidz kicked off Love Week 2013 with kids serving during each worship experience! 6 weeks – 2 years Toddlers decorated Welcome Boxes for The Ronald McDonald House. Toddler families are encouraged to take the welcome box home, fill it with hygiene supplies, and bring the box back to eKidz on July 21/22. Quest kids packed 750 medical kits for Bless Black Worldwide. 1st – 5th grade Motion kids created 250 care packages for the families of military service members and wounded warriors through Operation Homefront. CLICK HERE to see how you can make this the best Love Week ever for your family! The Love Week Log that your child received in eKidz is your family’s ultimate outreach event planner. In it you will find a calendar of family-friendly events, a place to set an audacious service goal for your family, and space to collect service signatures from event coordinators. Encourage your child to bring their Love Week Log to Love Week events and collect service signatures. Service signatures will be used to track the number of kids who have served. eKidz has set an audacious goal to see 2013 kids serve during Love Week 2013. Make sure your child brings their Love Week Log back to eKidz on July 20/21 so their service can be counted!